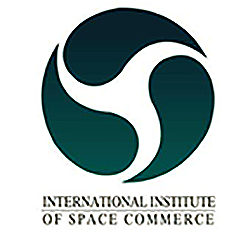 In this second decade of the 21st Century, a commercial settlement on the Moon is possible —the International Institute of Space Commerce (IISC) has brought together 20 of the world’s leading thinkers on spaceflight and asked if a commercial settlement on the Moon would be possible. Image is courtesy of James Vaughn. They found that a private settlement on the Moon is surprisingly feasible, and even cost-effective, and offers the best chance of success for a return to the Moon — and by definition, settlement beyond. The study suggests that technology is not the issue, but rather economics. 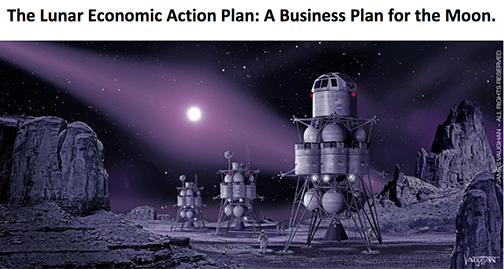 By leveraging the strengths of private industry and private capital, via the use of Public Private Partnerships and Mega Funds, the provision of public science and exploration of the Moon can be both enhanced and ensured. Rob Alexander, IISC Executive Director, said that engineers and mission designers have long known that the Moon would be the best outpost from Earth from which we could access the cosmos. The argument of ‘we've been there before’ is not a good enough reason to justify ignoring the Moon in society's exploration and development. The LEAP is intended to further justify this strategy economically, as well as outlining the policy needs that should be followed for the benefit of expansion, beyond just a global economy. IISC is pleased that the world's major governments are starting to take notice and the benefits should be seen within the next 10 years. IISC Board Member Chris Stott said that any return to the Moon would take advantage of new technologies and the new economics of the space age. The LEAP was created to examine this possibility. What is exciting is that the technology is at hand for a settlement on the Moon and this can be made to happen. What needs to be considered are the economics, the business plan, and the regulatory issues that would arise, but all this is solvable.